The classroom is the most active area in the school. Students are constantly transitioning from one learning area to another while in the classroom environment and Instructors need the versatility to change the seating arrangements on a regular basis. 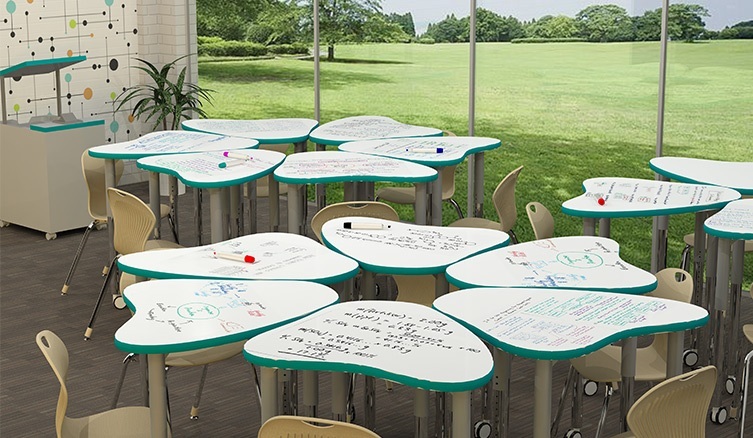 Our selection of classroom seating such as Combo Units, Sled Base Dual Entry Combos, Chair Desks, Open Fronts with Stack Chairs, Tablet Arm Desks and several styles of Collaborative Learning Desks are available in a wide assortment of sizes, colors and options to give you the versatility you desire.